Your design style says a lot about you, don't you think? I was looking at a few design elements in my bedroom the other day and notice how much they reflect my old but new personality. There you'll discover vintage furniture, books and pictures but also find a crisp, clean line design with modern textiles, paintings and balanced placement. Each level on my bookshelf has its own theme for subjects I adore... fashion, music, Harry Potter, Seinfeld. This helps me stay organized but also keeps things fun and interesting. 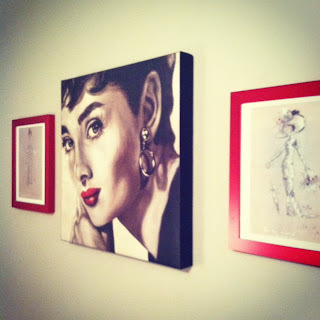 The color scheme for the room was inspired by a canvas of Audrey I found at Target. 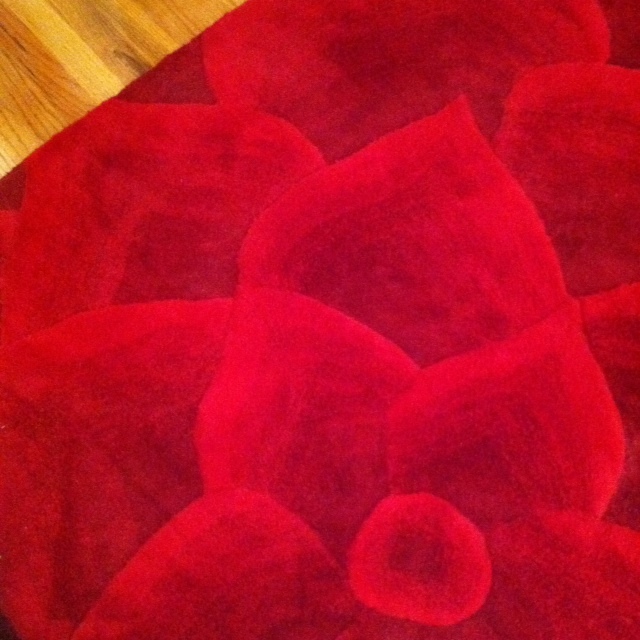 So when I discovered this feminine, dimensional, floral rug, I just had to splurge and get it. 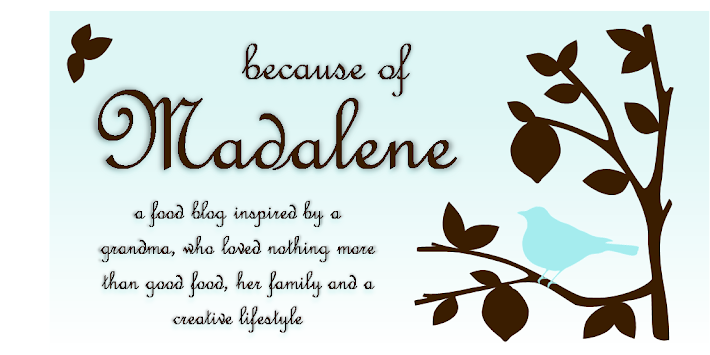 I figured it's timeless and will follow me where ever I go for a very long time. My sister passed down her 1970's white desk to me when she moved out. 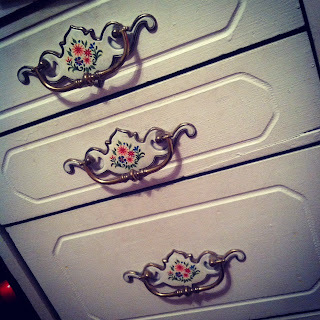 It's small and creaks but I love it's homemade look and hand painted handles. 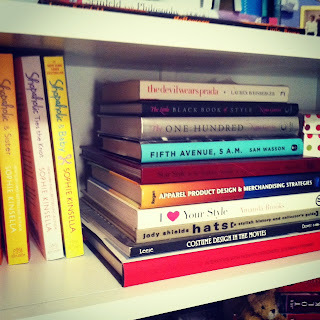 I've created little stories around the room that help me stay motivated and inspired. 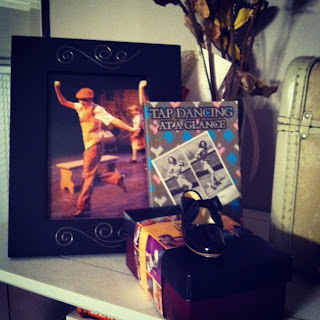 This Tap Dance corner reminds me of how much fun I have when I step outside of my comfort box and try something new... like dance! That "boy" in the picture is me, a paperboy on the train! My bedroom is all about creativity, motivation and fun in an old but new light. 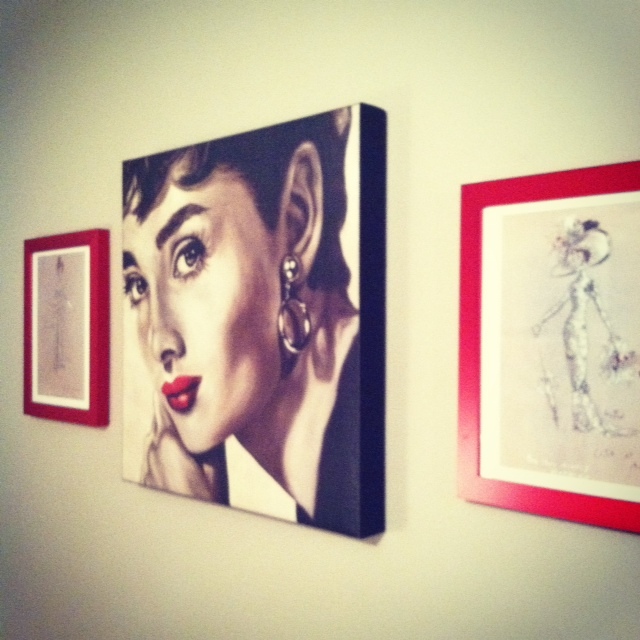 One day, I'll have my own house and finally be able to design every room that reflects my own personal style. But until then, this space is my inspirational sanctuary.